It is claimed that golf was played in the village of Cruden Bay as early as 1791. The original course, on the present site, was commissioned by the Great North of Scotland Railway (GNSR) following the expansion of the railways at the end of the 19th century, designed by Old Tom Morris of St Andrews, and opened in 1899. 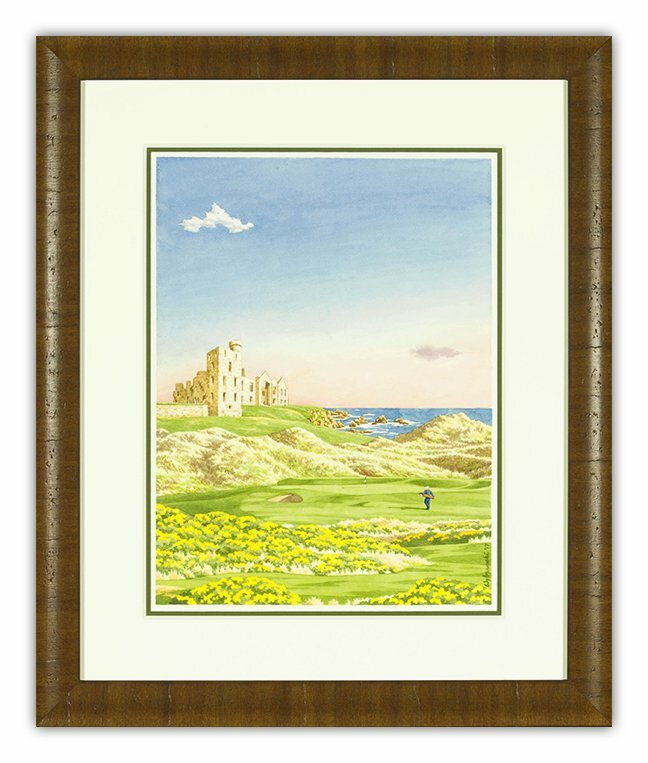 For this moody painting Lee took artistic license and relocated the nearby New Slains Castle to a point overlooking the dramatic links. It’s happens to be a portrait of author Tom Coyne.